Who fixes the Lowly Road? Back in the 1970s it was something of an adventure to get to the excellent beaches and sand hills there on the unmade road. 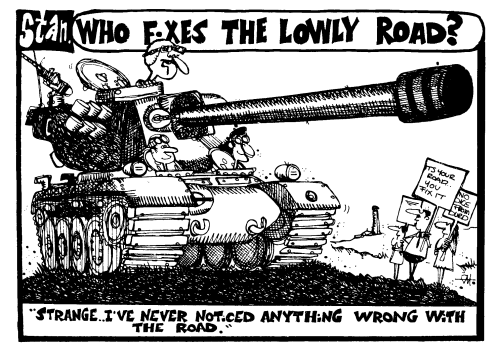 The army had had a training area there for many years, and as the September 1975 cartoon below shows, maintenance of the road was an issue.